The bridge operator of the Meridian Street drawbridge was reportedly a good employee. At the time of the fatal accident, he had an excellent performance record and was known for following the rules and regulations. 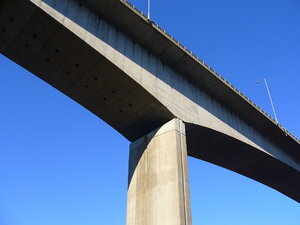 “I think he did all he thought he could do to make sure it was a safe opening,” said Joanne Massaro, commissioner of the city’s Public Works Department, which runs the bridge. Our Boston pedestrian accident attorneys understand that there is a 20-step procedure to make sure that everyone gets through the drawbridge safely. This procedure helps to protect not only passing boats, but also the vehicles and pedestrians passing overhead. When the recent incident happened, the 34-year-old operator allowed a boat to pass on the Chelsea River. A woman from East Boston, who was on the bridge, fell and was crushed to death when the operator lowered it again after hearing her screams. According to witnesses, there were flashing lights and a loud foghorn set off before the bridge began to rise. The bridge connects Chelsea and East Boston. The distraught bridge operator was taken to the hospital for evaluation. Police are investigating surveillance video from the bridge that day to try to figure out exactly what happened. So far, they’re calling it a terrible accident. Officials with the Occupational Safety and Health Administration (OSHA) are investigating as well. The department will await the completion of both investigations before determining if changes need to be made to the drawbridge or to safety procedures. The operators of this drawbridge are required to undergo training before operation. The training is provided by a BEC Electrical Inc. Within this training, bridge operators are required to master 20 steps to make sure that the bridge is clear of passers before they raise it. There are a whole different set of steps to make sure the bridge is safe to close. Also included in training are ways to predict problems and troubleshooting current problems. The bridge was rebuilt by the state Department of Transportation in the late 1990s and is inspected by the state every two years. Officials were not aware of any other accidents or mechanical problems involving the bridge. -Always stay alert. You not only want to remain aware of the traffic around you, but you want to make sure you can detect any other dangers. -Keep an eye out for cyclists approaching at fast speeds. -Be cautious of all warning signs, including lights and buzzers to alert travelers that the bridge is going up/coming down. -Stay in the center of the walkway. You don’t want to walk too close to traffic and you don’t want to be too close to the edge. -Avoid walking the bridge at night or early-morning hours. The lack of light serves as a visual handicap for drivers and they’re less likely to see you during this time. If you or a loved one has been injured in an accident, contact Jeffrey S. Glassman for a free and confidential consultation to discuss your rights. Call 888-367-2900 today!